G | 1001 Movies…Before I Die! So apparently the internationally known boxing movie, Rocky, which has 5 sequels each also about boxing, really isn’t about boxing after all. I have it on good authority (mine) that Rocky is actually the tale of a man making good. Proving to himself that he can drive himself mentally, condition himself physically, to overcome insurmountable odds to live out his dream, or more appropriately prove to himself that he deserves to live out his dream. Huh. Who knew. In actuality, Rocky is a bit of a lunk-head. He has no real future, and lives to brag about his modest exploits in the boxing ring, the most spectacular of which are still pretty mediocre. Most people who know him seem to have a similarly negative impression of him, as does Rocky himself. He has set the bar low in his life and whether on purpose or through circumstance manages to live up to those low expectations. Rocky would conceivably go on living this way if his often voiced dreams of being given a shot weren’t accidentally thrust upon him. The current heavy-weight champion, Apollo Creed (one of Carl Weathers’ best roles ever) needs a punching bag for what is essentially a staged fight / publicity stunt. 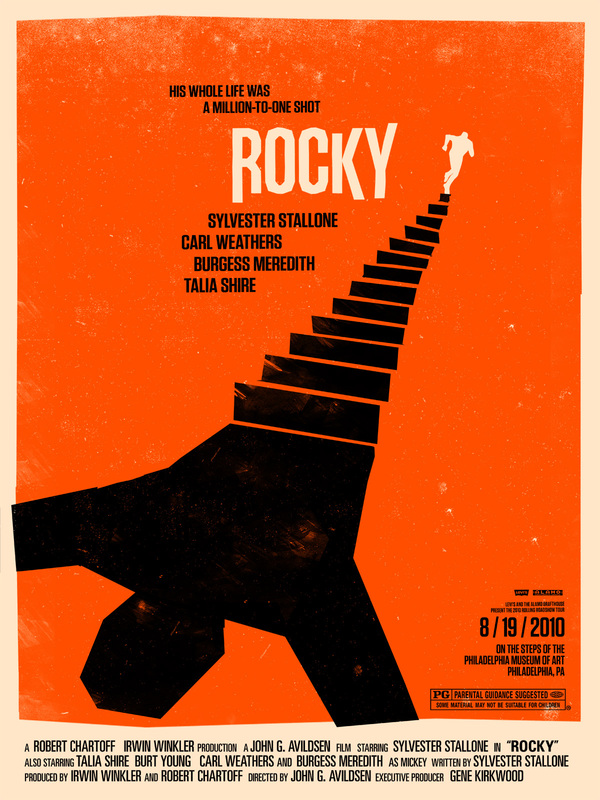 Rocky is chosen because of his nickname, the “Italian Stallion”, and how it would look on the poster, or in TV ads, not for his heart, and certainly not for his fighting ability. Creed, being a sound business man, is simply trying to sell himself, the prospect of a challenge didn’t even cross his mind. He isn’t actually trying to give Rocky a chance, but he’s selling the idea of Rocky back to the public that knows him. It’s not until after the spotlight is focused on Rocky that people come out of the woodwork to support him. Although, I suppose support isn’t the right word, in actuality they are simply trying to reach for the spotlight a little themselves. The trainer who scoffed at him, friends and acquaintances from the neighborhood, and even his opponent seek only to use Rocky to thrust themselves, their causes, and their agendas into the forefront. His only true supporters, are his buddy Paulie, and his love interest Adrian. It is because of their belief in him, specifically Adrian’s, that Rocky starts to really try to do it for himself. Rather than simply drifting through with only the momentum that other people are giving him, Rocky really starts to work, testing and expanding his own limits in order to actually give it his all. At its heart, Rocky is not about winning, it doesn’t subscribe to the notions of patriotism, and honor, and brute strength that the series is famous for, it’s about the real palpable value of a two-way, give and take, relationship between partners. People working together to make each other stronger. This is where Rocky (both the movie and the character) really succeeds. This union between the meek, shy little Adrian, and the puffed up yet vulnerable Rocky manages to strengthen each character, allowing them to assert themselves and rise above the muted lives that trapped them both. As with Stallone’s other big name franchise of the 80’s, Rambo, the spectacle, pageantry, and glitter of the sequels ends up overshadowing the raw impact that the original has. The message ends up getting lost the further the series goes. I’d like to think it was a conscious commentary on the 80’s themselves, but I kinda don’t think so. To get the full impact of both Rambo and Rocky, each should be judged on the original movies alone. Strangely enough, Sylvester Stallone actually wrote this script. On top of that, once he found a buyer for it, he leveraged himself in as the lead as a condition of selling it. At the time, Stallone was a little known actor who had only done tiny bit parts in semi-exploitation films like Deathrace 2000, The Lords of Flatbush, and the part of a thug in Farewell My Lovely, so his selling his screenplay AND through sheer force of will getting to star in it is a fairly Rocky-esque accomplishment in and of itself. Typically of films of the seventies, Rocky is fairly slow-paced, more interested in character development than the spectacle of the fight at the end, and what’s most refreshing of all is that Rocky doesn’t need to win the match at the end to complete his journey. The success of the film isn’t the outcome of the fight, it’s Rocky’s calling for Adrian afterwards. It’s their kiss, and their focus on each other. 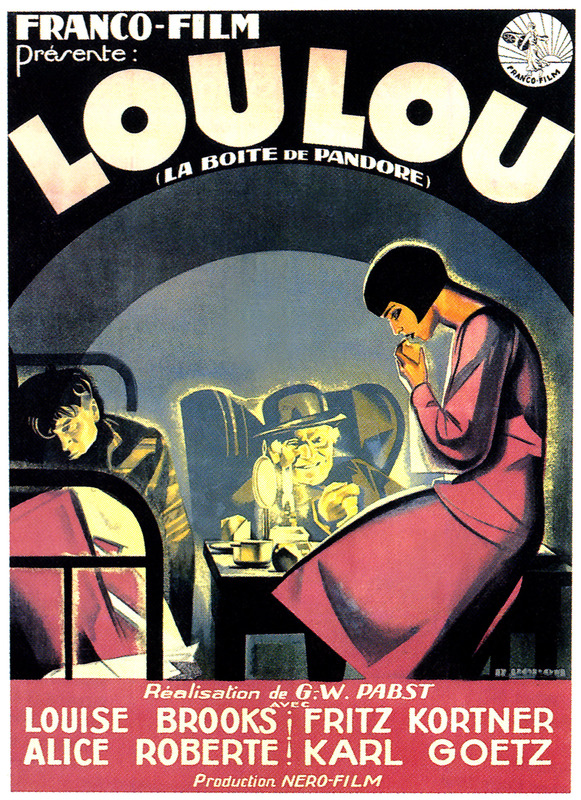 Performances in the film are all iconic and as such seem at first to be a little clichéd, but since they were what the clichés are based on it quickly seems natural again. Stallone as Rocky and Talia Shire as Adrian both have roles that play to their talents. Sly is famous for his physique but not so much for his acting, so playing a character with the same attributes made the whole performance more believable. Shire is by appearances very small and meek, so the role of Adrian fits her demeanor very well, and both seem equally well suited to playing against the other. The one character that is traditionally romanticized to death, and I actually thought he was just a jerk, is Burgess Meridith as Mickey, the trainer. Throughout the first half of the film, he only acknowledges Rocky by belittling him. During his hat-in-hand speech asking to be Rocky’s trainer, Rocky gets understandably angry, yells at him and kicks him out of his house. Mickey totally deserved just that very sort of treatment. The fact that Rocky took him back and shared his spotlight is, I suppose, a way of reconciling with his past, but is still disappointing. Granted, it was Mickey’s training that helped him get to the point where he actually had a chance, but still every argument Rocky had against him was true and accurate. Some minor things aside, Rocky was a very enjoyable film. Very inspiring because of the fact it didn’t depend on the boxing match, not despite it. Given that it was such a subdued, subtle, character study, I’m frankly fairly surprised that it became as much of a popcorn fueled franchise as it has, but it’s kind of a good sign that what is essentially an art movie with something important to say can capture so many people’s hearts. Definitely worthy of it’s place on the top 1001 movies.